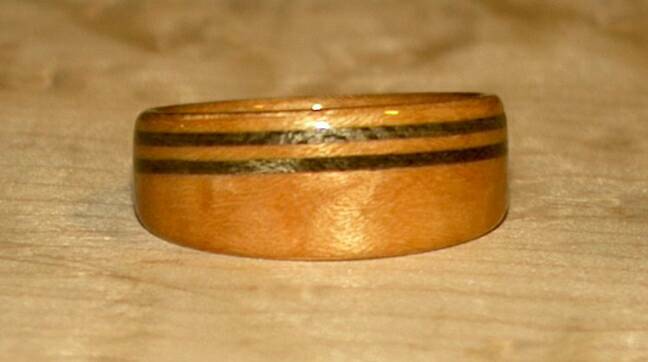 A Birds Eye Maple Ring with two inset (and offset) greyed maple bands. This ring is a size 14. It is 1cm wide tapered to 6mm.